Possibilities Being Explored to Form Alternative Government By BJP? After the resignation of Ms Mehbooba Mufti from the Chief Minister's position of J&K, the state has been put under Governor's rule. BJP is not ready to allow to continue this rule for long and to find out some alternate arrangements, Ram Madhav, General Secretary of the party had a secret meeting with Haseeb Drabu, former Finance Minister of J&K, who was sacked by Ms Mehbooba in March, a man of BJP in government though PDP member of Legislative Assembly. He was also a contact person during the negotiations between BJP & PDP. 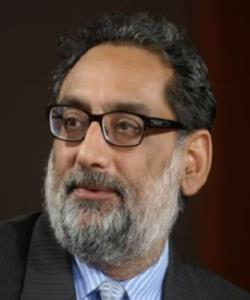 BJP, sources say, hope that the group will come out from PDP to form new government under the leadership of Drabu. Drabu is not having a good control over voters, but at least manages to have some fellow members to give alternate Government to state with BJP.